Mr. Labeodan Olusakin, Executive Director, Leadway Pensure PFA Ltd, Mrs. Olulonyo, Director Admin & Human Resource, Ministry of Tourism, Arts & Culture, Mr. Chidia Maduekwe, Managing Director, Nigerian Film Corporation, Ms. Tola Adegbayi, Executive Director, Leadway Assurance Ltd and Dr. Olasimbo Davidson, MD/CEO Pinewood Medicare at the launch of Nolly Health Insurance in Lagos recently. Following the death of several Nollywood actors to chronic diseases and heart failure in the country, the Federal Government has endorsed a new unified Healthcare and Life Insurance Scheme for the movie and creative industry as efforts to enhance access to affordable health services by its members and avoid preventable deaths to chronic illnesses. This came as a call for a preferred provider of health organisation for implementation of universal health coverage requirements of the World Health Organisation (WHO) in Nigeria without further delay. The Managing Director, Nigerian Film Corporation, Dr Chidia Maduekwe, expressed that the unified insurance scheme was a bold and commendable initiative. He said this while addressing participants at the recent launch of Nolly Health Insurance, comprising Life Insurance and Pension Scheme for the practitioners in the creative industry in Lagos. He further assured participants that “We shall compliment and back it with full faith and credit of the government under the auspices of Nigeria Film Corporation (NFC)”. 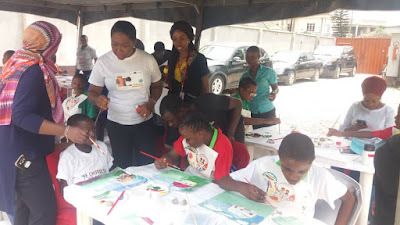 According to the Lagos State's Acting Commissioner for Tourism, Arts and Culture, Mrs Adebimpe Akinsola, the scheme was long overdue in view of the health challenges including Kidney and heart problems which had claimed many lives in the industry due to lack of fund for medicare. She, therefore, commended the leadership of the movies and creative industry for the laudable programme and explained that the Lagos State Government had planned to establish Art Theaters in the six geographical zones of the state in order to bring the industry closer to the people. Speaking, the Managing Director, Nigerian Guild of Actors, Mr Fred Amata, described the initiative as the first collective decision to be taken by the operators in the creative industry to bring into fore the imperative of healthy living as a necessary condition for effective and efficient performance of creative artistes. Therefore, Amata charged participants to take advantage of unity of purpose to ensure the success of the scheme, as it has potentials to ensure well being of the practitioners in the industry. Meanwhile, the Managing Director and Chief Executive Officer of Pinewood Medicare, a Preferred Provider of Health Insurance, Dr Olasimbo Davidson, tagged Nolly Health Insurance initiative as historic in view of the deplorable state of the Nigeria’s health care system. Commenting on the effects of poverty on access to health care services in Nigeria, Davidson lamented that only two per cent of Nigeria’s population could afford pre-paid health coverage. This, he said, implied that, at least, 95.7 per cent of the population have to pay out of pocket (OOP) at the point of illness compared to 12. 5 per cent in South Africa, 12.7 per cent in Botswana, 61.5 per cent in Congo with all its ebola and 54.4 per cent in the Gambia. Therefore, the MD said they if this initiative was to achieve anything within the next five years, they must adopt a unified approach to solving Nigeria’s healthcare challenges. “Irrespective of gender, age, ethnicity, income, educational level, and location, everyone has a right to high quality healthcare,” Davidson said.